The impact of Pierce and Resistance on your PvP strength is huge. 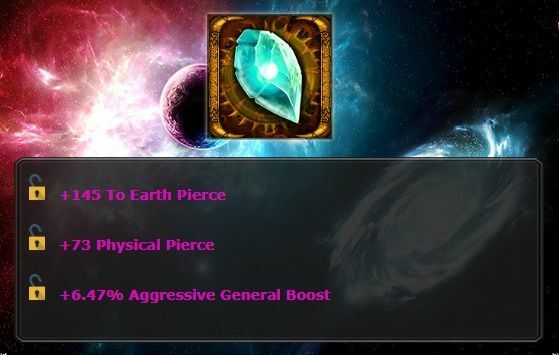 However there is no easy way to calculate by how much your stats are actually enhanced by your Pierce and Resistance. Retribution determined the formulas (best guesses) and created a spreadsheet to easily calculate your effective Attack and Defense. All you have to do is enter your attack and defense values (pierce and resistance boost everything) and your pierce and resistance amounts and you get your effective stats as a result. Keep in mind that the results you get however are your stats IF you opponent had no piercing (if you're being attacked) or no resistance (if you're attacking him). Indeed, the bonus provided by your own pierce and resist depends on your opponent's pierce and resist values; and most of the time, a big chunk of it will probably be negated. Yep and as you can see, it doesn't differentiate physical from elemental, while physical is better (roughly, elemental only gives about 80% of what physical gives you). Also it doesn't take into account General & Equipment stats which are also boosted by Pierce and Resistance (although you can add them to another field (like the "Attack" field) if you know they count and want to calculate your effective attack with pierce). All in all, I don't get the same results at all using this website and the spreadsheet. Last edited by gogoo; 03-26-2019 at 04:48 PM. Could anyone with level >800 and BSI > 6 post their stats for comparison? Last edited by Barathor; 03-27-2019 at 12:43 AM. Check if you can break me ? Last edited by zserg; 03-27-2019 at 08:24 AM. I tried Zserg. Invade yes, duel no. I lost the first war try but fixed my war council, hadn't looked at it in a long time and the second try won. 29,972/26,498 if I did it right. Last edited by FiveMinuteRule; 03-27-2019 at 01:48 PM. I can beat your Daphne loadout, but I guess that is the one you have for guild defense purposes, not your pvp alone purposes because I remember losing to you in the last Arenas/Deathmatches. I tried invade, first with Chase and then with my regular pvp. Won too, probably thanks to my many items from Vargulis. Last edited by Barathor; 03-27-2019 at 02:19 PM.